These brothers, located in the Oshawa area just east of Toronto, operate their own small construction and repair business specializing in Drywall Finishing. They required a simple website that detailed what they do, was easy for customers to navigate for and easy to update by themselves.Fully HTML5 compatible and mobile responsive, this site meets all their needs and can grow with them. 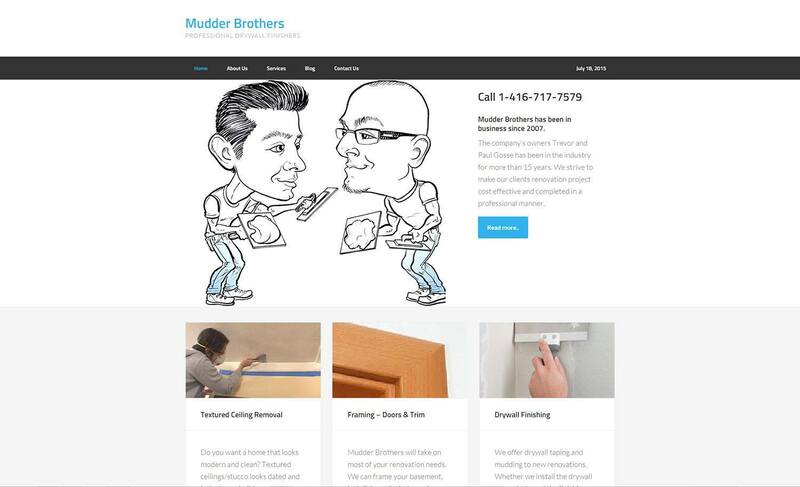 As they run their own business with a personal touch they wanted their website to feature that same philosophy so we went with a caricature drawing of the two brothers on the home page.